We would like to thank METRA for the help with these removal instructions. 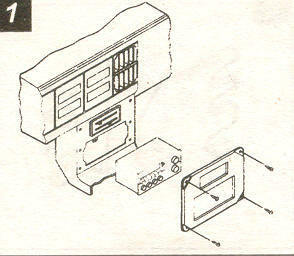 1) Remove four star-drive screws fro the dash trim bezel and remove bezel. 2) Remove four screws securing factory car stereo.